PhD, professor, UNC School of Medicine. Ligand bias is a well-established concept in the GPCR research field that is beginning to emerge as a means to optimise GPCR targeted drug design. Most approved medications that target GPCRs act as either agonists or antagonists of heterotrimeric G protein and β-arrestin pathways. In many cases, this classical signalling paradigm leads to both efficacy and on-target adverse events. Biased GPCR ligands have the ability to activate or inhibit with greater selectivity one of the two downstream effector proteins and its subsequent signalling cascades. 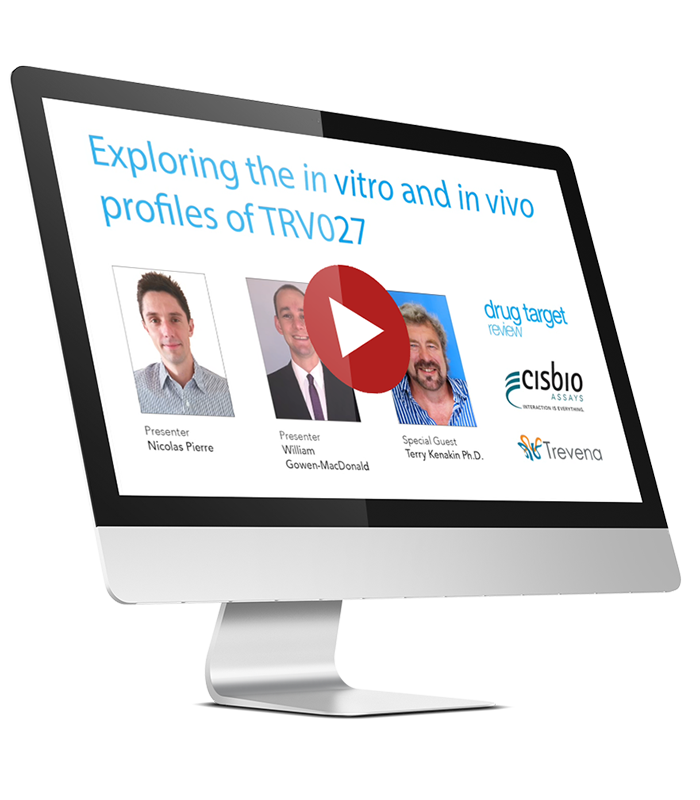 The goal of this webinar is to illustrate in vitro characterisation of GPCR ligand bias and its translation to in vivo proof-of concept using TRV027, an AT1R modulator, as an exemplar biased ligand.